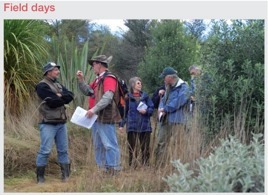 NZ Farm Forestry - What is the NZFFA’s role in facilitating well designed forestry cooperatives? 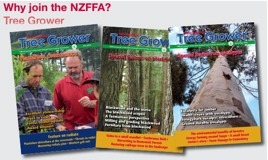 What is the NZFFA’s role in facilitating well designed forestry cooperatives? Hamish Levack and Howard Moore, New Zealand Tree Grower May 2010. In general woodlot owners do not access the best advice, do not manage their woodlots well, and do not receive optimal income when their trees are harvested − unless they are members of some sort of forestry cooperative. The UN Food and Agriculture Organisation estimated, before the collapse of the Soviet Union, that just over a third of the total world forested area was in private forests.The great majority of this area was in the possession of people owning less than 20 hectares each. In developed European countries, North America and Japan, where there has been a long history of forest management, most of these owners have formed associations with other similarly-placed proprietors. It is widely recognised in these countries that co-operation provides better profits from economies of scale, including mutually beneficial agreements with the buyers of their wood, and the suppliers of necessary goods and services. Cooperatives can also make substantial gains for their members by planning a sustainable cut of timber and better use of capital equipment. The NZFFA is itself a sort of low-level forestry cooperative. Members exchange useful technical information, mainly through the Tree Grower. The Western Farm Co-operative Forestry Company Ltd takes cooperation up to the next level. It has been set up under the Co-operative Companies Act 1996, and is kept going mainly due to the enthusiasm of two Middle Districts stalwarts, Hew McKellar and Humphrey Rainey. What it has done is to offer its 60 members the option of a discount if they use the services of a particular harvesting and marketing manager. In 2003 Wrightsons tried to get cooperation going at a higher level. They advocated the formation of single asset forestry companies or SAFCOs. Wrightsons tried to get a number of geographically distinct forest owners, with trees of similar age class, to come together under one entity and have their trees harvested and marketed jointly. The idea was that they would exchange their cutting rights in return for shares in a SAFCO, the shares being proportional to the value of the contributors’ trees at the time of joining.The SAFCO’s managers would then harvest and market the combined forest to best commercial advantage. At the NZFFA conference in Wellington that year, Don King provided convincing evidence that a woodlot owner’s pre-tax net income under such an arrangement would increase by between 15 per cent and 30 per cent. However no Wrightson SAFCOs have yet been established. Rick Osborne and Kelly Coghlan also tried to put together a SAFCO in the lower North Island in the late 1990s. Kelly Coghlan says that many private woodlot owners were initially enthusiastic, but when it came to the crunch, these supporters would not sign up. Why no well designed cooperatives? Woodlot owners would certainly be a lot more comfortable about joining a SAFCO if there was evidence that one already existed in New Zealand and was working well. Some believe that there is a culture of stubborn independence among New Zealand rural land owners and that this will prevent forestry cooperatives from ever forming. However the existence of Fonterra, a very successful dairy co-operative, invalidates this myth. Kelly Coghlan reckons that woodlot owners just do not understand how much more marketing strength they would have if only they acted collectively. Another factor is that the demands of the daily job take precedence over making decisions about marketing several years time. Critical mass could well be a very significant factor. Woodlot owners will become more interested in forming forestry cooperatives as woodlots increase in number, in maturity and in total aggregate area. Such pressure is building up. The total area of privately owned, non-large-company forest has risen from about 80,000 hectares in 1986 to about 900,000 hectares today. The peak in the new planting rates associated with this expansion occurred in the period 1992 to 1998. This means that we are on the cusp of a significant increase in the harvesting of small privately owned wood, this should trigger off a lot more interest in co-operatives. Forest owners labour under a unique tax disadvantage. They must hold the expense of buying standing trees in a ‘cost-of- bush account’. They cannot deduct this expense against other income at the time of purchase, but can deduct it from the proceeds of the sale of those trees when they are harvested. For example, if someone buys a 15-year-old mid rotation forest and does not harvest it until it is 30 years old, the cost of purchase is only deductible against the revenue obtained from that forest in 15 years’ time. If inflation averages two per cent, then the buyer’s purchase price will decrease in real value by 26 per cent over the 15 years before it can be deducted. Not having the benefit of early deductibility also means that the buyer has to pay more for raising the necessary fund. You have to pay interest for 15 years on money that would otherwise have been recovered from tax deductibility. In this example it is estimated that, at a three per cent real interest rate, the buyer suffers a 17% penalty arising from the time cost of money on the tax element. This is on top of the 26% loss of deductibility caused by inflation. More detail on these calculations can be found in the February 2010 issue of the NZ Journal of Forestry. As a result, immature forests are worth much more to a seller than to a buyer, and it explains why mid-rotation forests have very seldom been sold. This is generally called ‘the cost-of-bush’ anomaly. Not only does this anomaly stop the consolidation of forests, but it also offsets many of the benefits of joining a SAFCO. The exchange of cutting rights in return for shares in a co-operative is deemed by the Inland Revenue to be a forest sale. The NZFFA executive needs to encourage the NZ Forest Owners Association and the NZ Institute of Foresters to support and lobby the government to get the cost-of-bush anomaly abolished. This should not be too hard because its abolition would increase the government’s revenue. For example, imagine that the cost-of-bush anomaly has been removed and as a consequence, almost all the 800,000 hectares of small private forests.These could yield an extra profit of $3,000 a hectare when harvested, with an aggregate extra profit to growers between 2014 and 2035 of $2.4 billion. The extra income to the Inland Revenue would be $700 million, assuming an average tax rate of 30 cents. The government should also support forestry co-operatives as they will help to accelerate the education of individual owners about good forest practice. Among other things this would result in more owners planting the right species on the right sites, pruning and thinning being done on time, and better forest protection measures being implemented. All of this would eventually result in even higher profits and more tax revenue. Other flow-on benefits include co-operatives with the power to guarantee a sustainable supply of wood for investors in processing which will provide the scale needed for the effective certification of timber and greater efficiency in the sustainable management of stored carbon. to all participants, so that owners can and consider the benefits of organising continual work for logging gangs. The Executive should also look for funding, perhaps from MAF’s Sustainable Farming Fund and from volunteer contributions, to investigate and develop templates of all the legal documentation necessary to set up properly structured forestry co-operatives. Some complicated and administratively inefficient structures to get around the cost-of-bush anomaly might work. One option is that we should be thinking about woodlot owners not selling their cutting rights to the SAFCO. Instead they could sell a proxy for the cutting rights which confers the same rights, and acts as though the cutting rights were sold. Under such circumstances each forest owner would sell to a SAFCO, in return for shares, the right to time the harvest, and market the trees on harvest. The timing right would allow the SAFCO to arrange the sale to provide continuity of supply to mills and work for contractors. The marketing right would allow it to take a commission on the sale of wood. However each contributor would still own his trees and each would receive the income from selling the trees through the cooperative when the cooperative chose to harvest them. In this way no cost of bush would be incurred. The commission would be used as an equalisation account to pay co-operative members an adjustment related to the sale of the timing right. All members would receive their stumpage net of commission irrespective of log prices. However, those whose wood was cut at times when log prices were good would receive no further distribution. Those whose wood was cut at times when log prices were bad would receive an additional distribution from the commission equalisation account. The level of commission and distribution would be designed to equalise, as far as possible, the payments by log grade to each member. It is understood that arrangements based on pledges with reference to the times when individual forests are to be harvested and a limited form of equalisation funding is currently under investigation by Forestry Enterprises Ltd. In May’s issue of Tree Grower, Hamish Levack and Howard Moore propose tax changes they contend would assist the formation of forestry co-operatives.They correctly cite Fonterra as an example of an effective co-operative that adds value to its members.There’s just one problem − if you look at the spectrum of produce that New Zealand harvests off its land, there is an inverse relationship between the storability of raw product and farmers propensity to co-operate. At one extreme, milk not sold within two days will come out the top of the vat to meet the producer.This has forced dairy farmers to co-operate in the processing and selling of milk for over 100 years, leading to the mighty Fonterra co-op today. Next down the rung would be the meat industry. Lamb or beef on the hoof can wait two to three months until it is sold and many sheep and beef farmers exercise their right to the ‘Sunday night auction’ with various meat companies.They hold off selling if they do not rate the price they are offered. This results in procurement wars in the industry, weakening balance sheets and pitching producers against each other. There are several large co-ops in the meat industry − they are rapidly descending into a farce and more dairy conversions loom. Next would come the wool industry. Wool can be stored for one to two years years if need be, no incentive or imperative to co-operate. One time co-operation has descended into commercial fragmentation with many different players. Wool has become a by-product barely covering the cost of its harvest. Current attempts to re-create co-operation by producers are bogged down in industry politics and personality ego trips. So if you look at the chances of successful co-ops establishing in forestry, I would say the chances are bleak − certainly taxation changes will not do it. With harvest windows of five to ten years in radiata and longer for alternative species, rather than co-operate, farm foresters will simply shrug off low prices and wait for the next boom. All the while their trees continue to pile on weight. What I think is needed to create a forestry boom is more liquidity in forestry ownership to head off the long rotation lengths required to see cash. Let us face it, the average age of a New Zealand farmer is late 50s and rising. They do not plant trees primarily because they will not see the cash before they are six feet under. Rather than talk to the IRD, the NZFFA should talk to the NZX to see what can be done about creating tradable instruments that allow farmers to capture a proportion of the value of the their trees much earlier in the rotation than final harvest. Gray Baldwin, Waikato Branch, August 2010. Gray Baldwin makes the valid point that the high cost of product-storage obliges dairy farmers to co-operate. However he is wrong when he says that, unlike milk, trees can be stored for free and so there is no imperative for forest owners to co-operate. By hanging in beyond the rotation of maximum profitability Gray will forego considerable income because his tree-growth rates will be diminishing and, being bigger for longer, his trees are more likely to be destroyed in the next wind-blow. Then, except for the unlikely event that he is harvest-ready at the right time, he will miss out on the next log-price-spike as well. Moreover by not being part of a harvesting and marketing co-operative he will forgo thousands of dollars per hectare in scale economies. Gray goes on to say that rather than talking to the IRD, the NZFFA should talk to the stock exchange. What does he mean? Putting your cutting rights into a cooperative in return for shares I presume. Not a bad idea, but only if we get rid of the cost of bush anomaly. Few seem prepared to bother to understand this. Those, like Gray, who deny the feasibility of forestry co-operatives suffer from “Galapagos-isation”, a new word that I recently read in reference to the Japanese economy. Galapagosizers have a tendency not to think beyond what they are familiar with and so avoid getting outside their comfort zone. As another example of Galapagos-isation, I was told by Bruce Charles, the NZFS director of marketing, in the late 1970s, that logs would never be exported out of Wellington because the unions would never allow it. Within a decade he was proved wrong. Hamish Levack, Wellington, November 2010.